The British invasion was much more than music by The Beatles, The Kinks and the Rolling Stones. 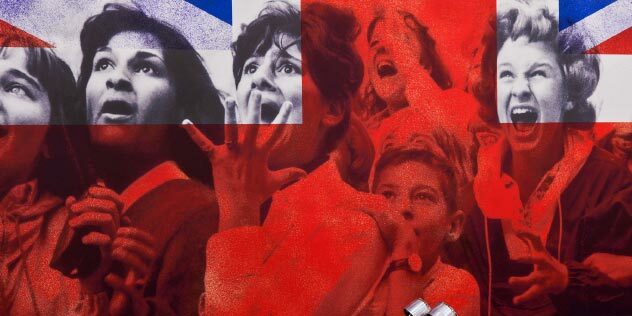 British culture permeated the American airwaves, clothing and the overall youth mindset, kicked off the anti-establishment era, and changed us forever. The USA had been taken over by mini skirts, long hair and James Bond. As American servicemen stationed overseas fell in love with the vibe of the small and well-crafted British automobiles and brought these beauties back to the states, it quickly became the hip thing to own a British car and leave the Chevys and Fords for your parents. Rolls Royce, Ferrari, Jaguar, and Aston Martin began to turn heads as the perfect complement to the expressiveness and rebel lifestyle of the 1960s. 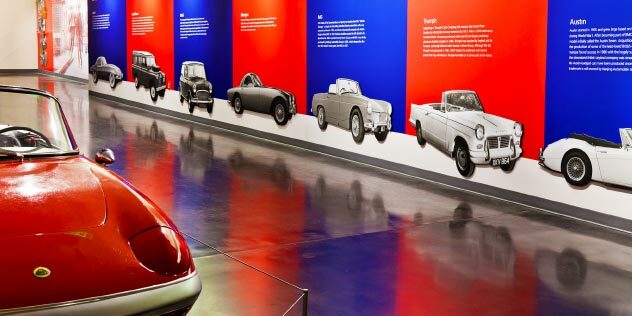 Working with the museum's chief marketing director and guest curator, Arscentia proposed a British Invasion theme to display the unmistakably unique vibe of the British automobile. The 280-foot exhibition showcased the cultural phenomenon that swept America during the era of the British auto invasion.